FOR many golf fans the European Tour season doesn’t really get going until they arrive for the Dubai Desert Classic, which is staged this week at the Emirates Golf Club with another star-studded line-up. 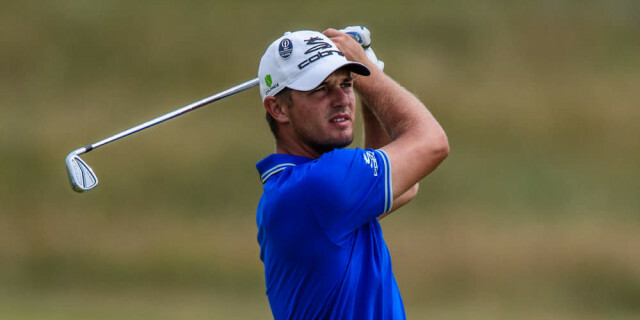 The big attraction will be the American, Bryson DeChambeau, who took the world of golf by storm in 2018, winning four times. The 25 year old Californian is sure to attract a lot of attention with his idiosyncratic approach to the game. He has just embarked on his third full season on the PGA Tour and has collected five PGA Tour wins in the past 18 months, including the Memorial Tournament and back-to-back titles in the 2018 FedEx Cup playoffs, a first in the 12 years of the lucrative tour finale. Despite that, he was pipped to the FedEx Cup by England’s Justin Rose. He was one of the four wildcard picks chosen by Jim Furyk, making him the youngest member of the 2018 USA Ryder Cup team. Prior to turning professional DeChambeau won the NCAA Division 1 and U.S. Amateur Championship in 2015, making him only the fifth player in history to win both in the same year, following in the footsteps of Tiger Woods, Phil Mickelson, Jack Nicklaus and Ryan Moore. DeChambeau also won the Amateur Medal at the 2016 Omega Dubai Desert Classic, when the tournament organisers were the first in the region to recognise the rising star’s talent following his US Amateur win and offer him an invitation. Known as golf’s ‘Mad Scientist’, DeChambeau has a unique one plane swing and uses single-length shafts. His irons and wedges are all 37.5 inches long – the same as a standard seven iron – and all have the same lie and bounce angles. Instead of numbers, he stamps the clubs with names; his 60 degree lob wedge is named ‘The King’ after Arnold Palmer and his six iron is named ‘Juniper’ after the sixth hole at Augusta. DeChambeau has worn a Ben Hogan-style cap since he was 13, which only adds to his growing mystique. Since 1989, the tournament has seen 24 different winners from 13 different nations. It was won in 2011 by Alvaro Quiros, in 2012 by Rafa Cabrera Bello, in 2013 and 2014 by Stephen Gallacher, in 2015 by Rory McIlroy, in 2016 by Danny Willett, in 2017 by Sergio Garcia and last year by Haotong Li, of China. Li finished one shot clear of Rory McIlroy to win his second European Tour title at the 2018 Omega Dubai Desert Classic. A third round of 64 gave Li a slender advantage heading into Sunday at Emirates Golf Club and the Chinese held off McIlroy in a thrilling showdown. Li produced a late burst of scoring to hold off the challenge of McIlroy and win his second European Tour title. The Chinese golfer trailed McIlroy by two after 10 holes but Li then birdied four of his last six holes to sign for a closing 69 and get to a record low event total of 23 under par, beating the Northern Irishman by a single stroke. His stunning finish under incredible pressure further cemented his reputation as one of the European Tour's great clutch performers, following on from a closing 63 at last season's Open Championship and a fourth-round 64 to win on home soil at the 2016 Volvo China Open. There is no McIlroy this time, the Northern Irishman having taken the controversial decision to focus instead on the PGA Tour. But the organisers will still be delighted with the strength of the field. 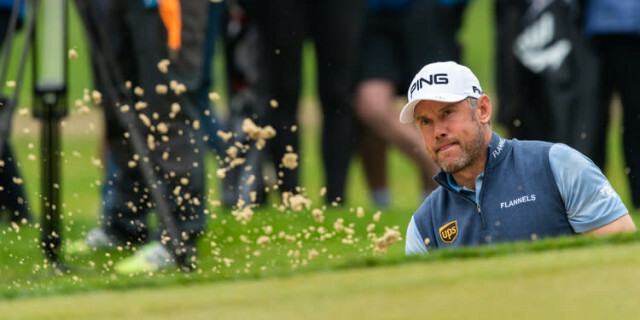 There will be a lot of focus on a rejuvenated Lee Westwood, who seems to have discovered a new lease of life and may well be thinking that he still has it in him to make one more Ryder Cup team as a player. His career seemed to be over until the end of last season, when a string of good performances culminated in his surprising victory at the Nedbank Challenge. It saw him climb both the world rankings and the Race to Dubai and he is now eyeing another crack at The Masters, a major he loves on a course he adores. Speaking of The Masters, both Willett and Garcia went on to land the season’s first major after their victories in Dubai, and this year’s champion will be hoping that it could be an omen for him too. Tommy Fleetwood, Ian Poulter, Tyrrell Hatton (who played brilliantly in Dubai 12 months ago), Garcia, Henrik Stenson, Matthew Fitzpatrick, Matt Wallace, Thorbjorn Olesen, Louis Oosthuizen, Eddie Pepperell and Cabrera Bello will all be looking for an early-season victory, and there are also signs that, finally, Germany’s Martin Kaymer might be showing some signs of a welcome return to the sort of form that secured him two majors. It is easy to forget that Kaymer is a former world number one who, for a time, appeared ready to dominate the game for years. He lost his way after throwing away a 10-shot lead at the Abu Dhabi Championship in 2015 and has been struggling to find his way back ever since. However, he is now swinging the club well once more and, crucially, seems to have got his head in a good place once again. On his game, Kaymer is one of the best ball strikers in the business and when his confidence is high he holes putts for fun. He would be the first to admit that there have been times during the past four years when he could barely hit a barn door but may, just maybe, those dark days are finally behind him. He spent the close season working hard on both his swing and on the mental side of the game. If he can keep his mind clear, there is no reason why he can’t become a top-10 player once again. Garcia will be looking for a good start and a better year after missing the cut at all four majors in 2018. He was a man reborn at the Ryder Cup, won the Andalucia Masters and came within a whisker of also adding the Nedbank Challenge, only being denied by a fabulous final round by Westwood. His confidence is sky-high once more so look out for another great year from the Spaniard.